Policies favored by tech-industry titans tend to leave the economic privileges of the powerful unchecked, while penciling in a little welfare capitalism for the poor. Last week, he addressed the SXSW conference on the topic of economic inequality—I mean, who better, right? He proposed three basic fixes for the problem. One is strengthening the safety net for the less well-off. I am definitely with him there. The United States is one of the richest societies the world has ever known, but it has a remarkably ungenerous welfare state. So, so far we’re good. The war on poverty worked, and it would work even better if programs like food stamps, Medicaid and the EITC were expanded. Schmidt’s second idea involves devoting more resources to education in the science and technology fields. This may be a good idea, but there is no evidence that it will decrease inequality. The education policies that would probably do the most to fight inequality would be enacting universal pre-K and making college more affordable by making public colleges tuition-free and increasing financial aid for students. Studies have found that early childhood education programs lead to greatly enhanced employment and education outcomes for poor children. The high cost of college is putting the brakes on social mobility by preventing many talented students from acquiring an education. Research shows that low-income students with high test scores are less likely to graduate from college than low-scoring rich kids. Finally, we come to Schmidt’s third recommendation, which is for the government to give more support to start-ups. As Slate’s Jordan Weissmann’s notes, part of what he means by this “support” is more deregulation in areas like energy and telecommunications. But as scholars of deregulation such as Thomas O. McGarity have pointed out, the deregulatory mania we’ve seen since the 1970s has been one of the engines of inequality in the US economy. It’s led to rent-seeking bonanzas that have vastly enriched and empowered the one percent at the expense of everyone else. Touting $19 billion for fifty people as a cure-all for inequality? I thought Tom Perkins’s “Kristallnact” letter was the ultimate in 1 percenter absurdity this year, but really, that comment is the one that has earned the billionaire chutzpah prize. And of course, as is often the case, what’s most revealing of all are the things Schmidt is not saying. He breathed not a word, for example, about increasing the minimum wage, building stronger labor unions, or enacting macroeconomic policies that promote a full employment economy. The most telling silence, however, involved policies that require that anything in the way of sacrifice from Schmidt and his 1 percenter buddies. As researchers such as Thomas Piketty have documented, economic inequality is a phenomenon being driven largely by the top 1 percent of the income distribution. As such, policies designed to control it need to be targeted at the rich. Piketty suggests a wealth tax and a return to top marginal tax rates of 80 percent or more. Other economists advocate restricting 1 percenters’ rent-seeking opportunities by re-regulating the financial sector and reforming intellectual property laws and corporate governance. You won’t hear any of those kinds of proposals coming out of Schmidt’s mouth, though. Instead, he’s asking for additional giveaways to the tech sector from Uncle Sam. Indeed, he’s even publicly boasted that he is “very proud” of Google’s massive tax avoidance schemes. 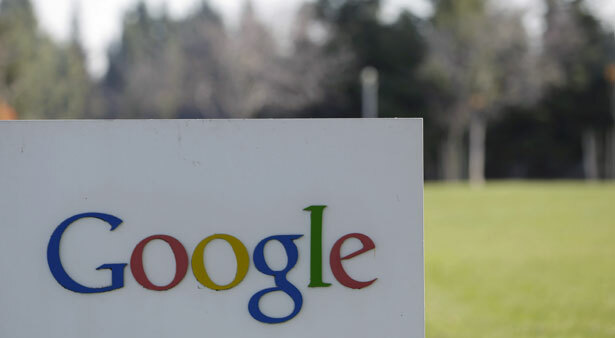 Google funneled about 80 percent of its pre-tax profits to an off-shore bank account in 2011. Eric Schmidt may sound like just another variation of a “greed is good” Republican. But here’s the depressing thing: the dude is a major Democratic donor who’s been an adviser to President Obama. Obama even considered him for commerce secretary. Schmidt’s politics seem very much akin to Robert Rubin’s: leaving the economic privileges of the powerful unchecked, while penciling in a little welfare capitalism for the poor. Yes, this is preferable than the likes of Tom Perkins. But is a party dominated by the “cool billionaires” like Schmidt and Rubin the best the Democrats can offer?